In this unique primer, an experienced civil engineer and instructor presents the physics and fundamentals that underlie the many fields of engineering. 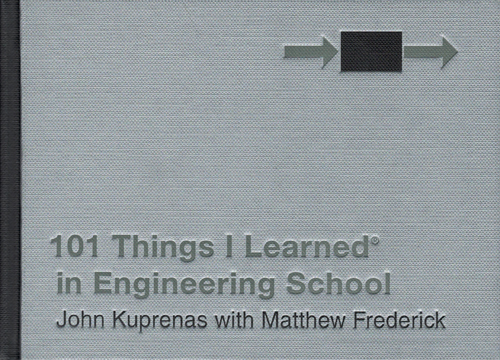 Far from a dry, nuts-and-bolts exposition, however, this book probes real-world examples to show how the engineer's way of thinking can-and sometimes cannot-inform our understanding of how things work. Questions from the simple to the profound are illuminated throughout: Why shouldn't soldiers march across a bridge? Why do buildings want to float and cars want to fly? What is the difference between thinking systemically and thinking systematically? How can engineering solutions sympathize with the natural environment? 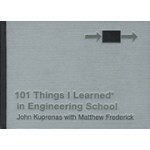 Presented in the familiar, illustrated format of the popular 101 THINGS I LEARNED® series, 101 THINGS I LEARNED® IN ENGINEERING SCHOOL offers an informative resource for students, general readers, and even experienced engineers, who will discover within many provocative new insights into familiar principles.